Decided to make lunch from the leftovers that were mounting up in the fridge. 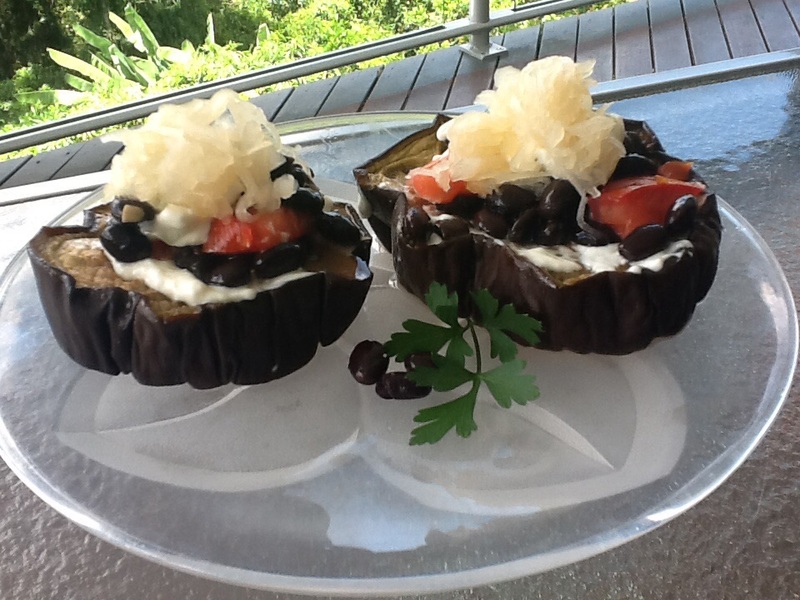 Ended up making an eggplant and black bean stack, topped with sauerkraut (as I have been trying to including probiotic foods when ever I can) – surprisingly these were delicious. Ate everything cold out of the fridge. 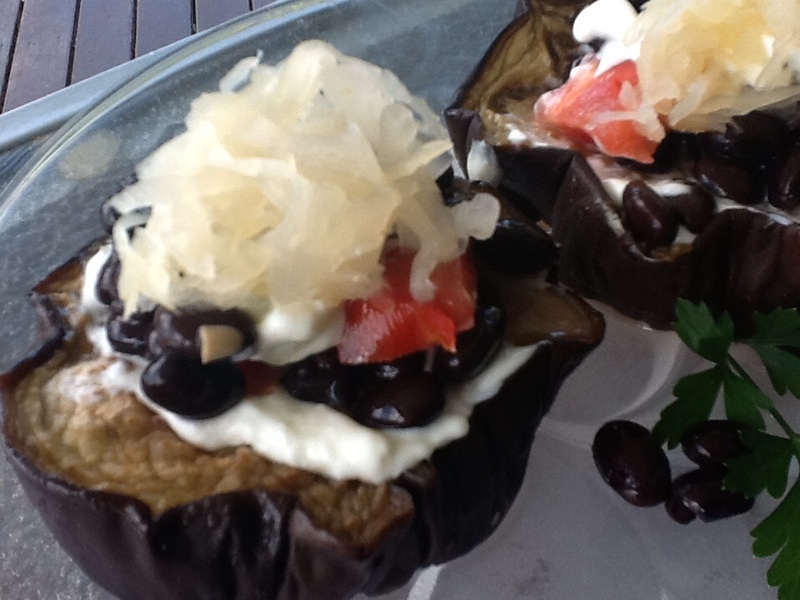 Assembled the stacks starting with the eggplant, then dip, tomato and black beans and more dip then a tablespoon of sauerkraut.